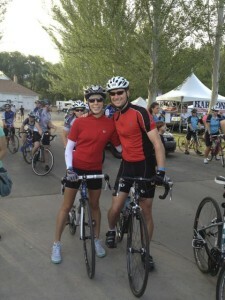 Our Second Annual Bike MS Ride! I’ve registered for the Bike MS: Harmons Best Dam Bike Ride because I’ve always loved riding bikes and can’t imagine how difficult it would be to be diagnosed with a disease like MS and lose the ability to ride my bike. Therefore, I want to do something for the people who have been diagnosed – and because I want to do something to help prevent more people from experiencing what it means to live with the disease. Today, there is no cure for multiple sclerosis, and with diagnosis occurring most frequently between the ages of 20 and 50, many individuals face a long life filled with unpredictability. Having multiple sclerosis means that you may suddenly have blurry vision. Or that your memory will fail you for no apparent reason. Or that you may not always be able to walk, let alone ride a bike. The symptoms of MS are different, for everyone, and may change from day to day – the only certainty is that it will affect yet another person every hour of every day. The National Multiple Sclerosis Society will use funds collected to not only support research for a cure, but also to provide programs which address the needs of people living with MS today. 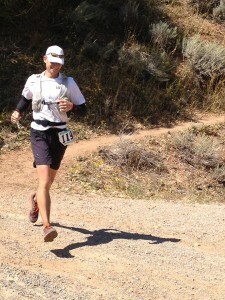 This past weekend was the 33rd (I think) running of the Wasatch 100 and I was fortunate enough to be a part of it. After spending the summer running mountains and tramping all over the West, one would expect that I would be in pretty good shape for such an undertaking but the truth is this, while we did spend a fair amount of time running trails, we spent very little time actually training with a purpose. That combined with a week of very little sleep, an unexpectedly tough mountain bike ride on Sunday and a far too speedy run on Wednesday and my body was feeling wiped. So, when race morning rolled around, I really didn’t know what to expect. At a minimum, I wanted to finish but I also had a secondary goal of breaking 30 hours – I thought this was reasonable but things would have to go well for it to become a reality. Standing at the starting line, I was nervous. Paige reassured me as we snapped a few pictures and said a few hellos to friends. With a final kiss goodbye, I left Paige behind with Rob and Rina – the next time I would see them would be several hours and nearly 40 miles later. I quickly found a good friend from Chicago, Vishal, who was finishing up the Gram Slam (Western States 100, Vermont 100, Leadville 100, and Wasatch 100 – all in the same summer). He was nursing a recently bruised (broken?) rib, ouch, but was determined to finish and knowing how tough he is, I had no doubt that he would. 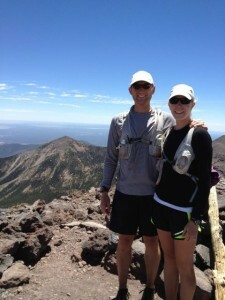 We ran together for the first nine or so miles and had a chance to catch up on his engagement, our summer, his work, my job search and a lot of other tidbits – it was wonderful and made the first climb pass almost without notice. The final stretch of the first big climb is called Chinscraper, the trail turns into a bit of a scramble but just as soon as we were over the top, we were greeted with an amazing view of the Salt Lake valley below just as the sun was beginning to illuminate things. I was still nestled in the middle of a good size clump of runners but the trail had flattened out some and we were moving along at a decent pace. Here and there, I would take the opportunity to pass someone moving slightly slower than I but for the most part, I just enjoyed the company and tried to settle into a nice relaxed pace. The first aid station was just over 18 miles into the race, for some reason, this really tickled me. 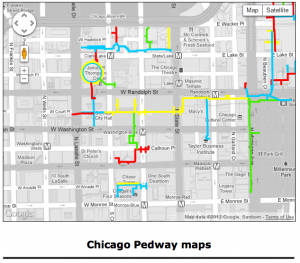 In Chicago, there are 5K races that have multiple water stops along the course – what a funny contrast. I tried to stay focused and keep my stops as short as possible: grab some GU and top off my water and then get out. Around mile 22ish, my stomach was acting up a bit. I don’t normally have stomach problems so I quickly reacted by trying some real food instead of my GU, it didn’t work. I accepted that I may have to just deal with the stomach issues and switched back to GU but I was out of mine and started using the ones they had at the aid station which was the Roctane variety – almost immediately, my stomach started to improve. I don’t know what is different, but that stuff was amazing. The day started to warm up and I did my best to keep moving at a decent clip but soon, I hit my first fuzzy spot of the day. I got real sleepy and I just wanted to lay down for a few minutes, this usually doesn’t happen except in the middle of the night but here I was, dealing with it in the middle of the day. I didn’t lay down and it passed. Once I pulled out of that little dip, I was feeling pretty good and started moving a little better again. Before too long, I could hear the Big Mountain AS where my crew was waiting for me – I got butterflies just thinking about seeing them. As I came down the hill, I could see Paige waiting – what a sight! I got weighed in and quickly found Rob and Rina who were waiting with my stuff. I took my time at this stop, I was so happy to see them and sit down for a minute. I drank several cups of Coke, had some fruit, emptied my shoes of the accumulated dirt/rocks, and swapped out some gear. Rob was onto my stalling and started pushing me to get going, I needed and appreciated the push. As I made the climb out of the AS, I noticed that I felt strong and decided to take advantage of it, I pushed hard on the ups and ran everything else until the next AS – it felt awesome to make so much ground. The afternoon was hot and the long gentle climb out of the Alexander Springs AS slowed me down with another bout of fuzzy head – this time, it didn’t last as long, nor did it get as bad. Once I hit the top of the exposed section and entered into the trees, I was running a pretty good clip again down toward the next crew stop. Upon reaching the AS, I knew I was slightly over the halfway point and I was still feeling pretty good, I let my mind wander to time goals, I was still on pace for a sub-30 hour finish and now I wanted to ensure that happened. As Rob and I left the AS, it took me several minutes to loosen up but soon, we were moving well again and passing some people on the climbs up Lambs Canyon. This was one of my favorite sections of the race, the sun was getting low in the sky and the forest was gorgeous! Rob kept on top of my drinking and pushed the pace when I appeared to be slacking off a bit. When the climbing stopped and the descent started, we were running. We made good time down to Elbow Fork and hit the road with just a touch of daylight left. It was completely dark when we got to the Big Water AS and the temps were dropping quickly, we grabbed my drop bag and changed into our warm tops and hats. Paige and I had run the climb out of Big Water several times during our training, its an awesome stretch up to Dog Lake but with 60+ miles in my legs and the stiffness that had crept in at the AS, I was reduced to a brisk hike for much of the 2.5 mile climb. Past Dog Lake and down we dropped before starting the steep ascent back up to Desolation Lake AS, an oasis in the night. We stopped for a few minutes and I had a cup of chicken soup – it tasted a bit funny but it was warm so I finished it. After thanking the volunteers, we headed into the night. Almost immediately, my stomach started to ache and then I started to get waves of nausea. We slowed and it would feel a little better but with the smallest bit of running, it would flare up again. This was the section I had been most looking forward to all day, its rolling and totally runnable, even on tired legs but now my stomach was being feisty. Rob kept me moving and, slowly, I began to feel better. When we hit Brighton AS (mile 75ish), amazingly, I was still on pace for sub-30 which combined with feeling better was very encouraging. Brighton was great for so many reasons, Paige was there and would be joining me, I was 3/4 the way done, Meghan got me a grilled cheese sandwich (thanks! ), and I got to brush my teeth! As we headed out for the final section of the race, I was cold and stiff but the climb up to Catherine’s Pass has a way of warming a fella up. I noted that despite being tired, I still felt strong on the climbs which was good because there was plenty of climbing left to do. As the night worn on, the headlamp tunnel vision began to wear on me and the thought of consuming another GU became almost unbearable. I let nearly two hours pass without eating anything which led to less than stellar results, my energy dropped, I got sleepy, I began tripping more frequently – I decided to choke down another GU and quickly noticed an improvement, lesson learned (for the thousandth time). We passed people, some looking pretty rough. We got passed by people, some looking incredibly strong. It was that time of the race when waves of energy come and go. Aid station to aid station, we kept moving. Paige was great company and provided regular encouragement. Running in the woods at night is an amazing experience and the one thing that really sets apart the hundred mile distance from other race distances, I simply love it. The second to last AS was a bit of a turning point for me mentally. I knew I only had 13ish miles to go and that I no longer needed to hold anything back, plus, the sun would be up soon – I started to push myself a little harder. Soon, we were running more and hiking less, it felt good. The first signs of a sunrise began to appear, I pushed a little harder. We hit a slight downhill section, I was in full stride. The descent steepened and I knew we were getting close to the final AS, I continued to push. We started passing runners. As we came into Pot Bottom AS, I shouted to the volunteers, “119 in AND out” and passed through without even slowing down. I turned uphill and kept the pace churning, I could hear Paige’s footsteps behind me, I loved this feeling. A sub-30 hour finish was nearly guaranteed but now I was getting greedy, I wanted to go under 28 hours – it was possible but it was going to be close. The last seven miles were much tougher than I had pictured with rutted and rocky trails but, at this point, I was focused on the finish line. Paige saw my pace slow and pulled in front of me to help keep me moving. We made a turn onto a beautiful smooth dirt single-track path and hit the gas again. We knew that once we hit the road at the bottom of this trail, the finish with just a mile away… it seemed it would never come and we only had 13 minutes to get there under 28 hours. Eventually, the road did come and I shifted into yet another gear; according to my watch, I had just over ten minutes to cover the last mile. With Paige by my side, we flew down the road and made the final turn into the Homestead. The final stretch of this race is amazing, people camped out cheering runners across the final 100 yards of green grass and under the finish line banner. 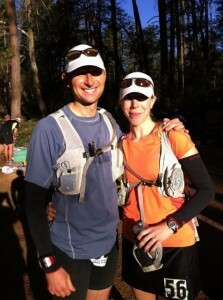 I saw Rob and Rina as I pushed through the final yards and passed under the banner in just under 28 hours. 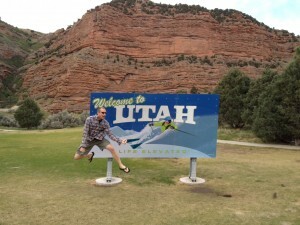 When I signed up for Wasatch last November, we were living in Chicago. Who would have thought that by the time the race rolled around, Paige and I would have spent the summer running mountains all over the West and be living in Salt Lake City? Not me. I can’t thank Rob and Rina enough for dedicating an entire weekend to helping me cross the finish line, you two are beyond awesome! And Paige, my training partner, my adventure partner, my life partner, my support system, my wife… you are wonderful, I can’t wait to crew and pace you at the Bear 100! After finishing up work at the end of May, our summer of being vagabonds began. Since then, we’ve covered a lot of ground. We’ve been to 14 states, visited numerous friends, spent time with family, been to two weddings, celebrated my grandparents 70th wedding anniversary, ran mountain trails, slept in the truck at campsites and at roadside rest areas, eaten some fantastic food, met new friends, seen historic areas, visited five national parks, camped in beautiful areas, witnessed one of the greatest running events in the world, converted our truck into a full blown camping machine and driven lots and lots of miles. This summer is the realization of so many long time fantasies of mine. Moving West. Traveling quasi aimlessly. Running mountain trails nearly daily. Visiting friends and family at a slower pace. Not working for an entire summer. We are now nearly two months into our summer, so what do I think? I think… I love it! Its been different than expected in many ways, we’ve been more busy than I would have guessed, we’ve adapted to our vagabond life more easily than I would have anticipated, we have spent less money than I would have imagined, and we’ve had fewer “tough times” than I could have even hoped for. But, what has been most striking to me is how unbelievably fortunate we have been and how gracious our friends/family have been as we travel – THANK YOU, to all who have made our trip possible and special. We've Seen Lots Of Mountain Tops! With all this behind us, we have a lot more ahead. We are “home” for a few days to collect mail, see friends, exchange gear, run errands, and rest up before heading out again. Our path is somewhat clear and while I’m excited for those plans yet to come, I’m also looking forward to getting settled into our new home, finding a job, finishing up training for Wasatch 100, and all the fun things yet to be uncovered. Am I leaving a lot out? Of course, we’ve been in constant motion for nearly two months and I haven’t wanted to slow down to write it all down but maybe someday. What happens when you close your eyes and jump in the general direction of a dream? We are about to find out. For as long as I can remember, I’ve loved the mountains. As a kid and now as an adult, nearly every vacation has been spent trying to eek out as much time as possible in the mountains – running and hiking their trails, camping in their forests, biking through their woods, exploring their peaks, skiing their slopes, driving scenic routes through them, and admiring their beauty from the safety of tough little mountain towns where people dress like mountain folks because they are. Despite this love, I’ve lived in the midwest my whole life with a thousand miles separating me from the closest serious range. When friends would question my choice to remain in the midwest, I always had an answer that sounded logical enough but deep in my heart, I questioned it myself. When too much time would pass between adventures, I’d start getting the itch and it would continue to grow until I spent some time in the thin dry pine scented air, on the dusty trails, and on the vista filled peaks of the mountains. After many conversations, Paige and I decided to cast aside reason and take a huge leap into the unknown. We quit our jobs and with the help of Tate and Gunny, we loaded up our stuff and moved to Salt Lake City, UT!! The plan? Take the summer off and travel, run, visit some family/friends, take in the weddings of three great friends, relax and most importantly, enjoy each other’s company. Everyone has been uber supportive, including the Salt Lake City crew. Rob and Rina graciously offered us their home as a home base until we get settled. So, with our stuff stored in their basement, we are on the road until mid-August with all sorts of fun plans to look forward to. Come August, we will return to “the real world”, I will look for work and Paige will go back to school but until then we are living the nomadic lifestyle and if you don’t watch out, we may end up knocking on your door smelling of a combination of sweat and campfire! Rather than trying to improve on the wheel, I’m gonna take the easy way out and piggy back off Paige’s recap of the first leg of our trip. Is it really the end of April already?! It must be because last weekend was our trip to Arizona. 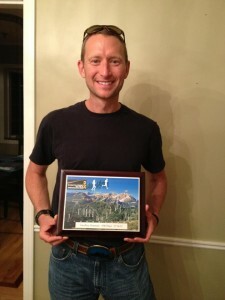 The planning for Zane Grey 50 Mile started with Brian mentioning we should do a run to celebrate his birthday. It took all of two seconds to get on board, what a fine way to celebrate a milestone birthday (or any birthday for that matter). He promptly went about finding a race and soon announced to us that he had picked ZG50, I knew very little about this race but what I did know was intimidating to say the least. One thing about Brian is that nothing scares him, I admire that! Our training went well, we did a decent number of miles, threw in some hill repeats, and worked a few flights of stairs. What I didn’t do was all the other stuff I’d planned on, leg strengthening, core exercises, speed work, etc. But, on the whole, I felt in decent shape heading into last weekend’s race. A couple of days before the race, we got an email from the race director, it started like this: “Dear Zane Grey 50 Entrant, This weekend’s weather forecast is for exceedingly hot conditions on race day, 15 degrees hotter than the average high temperature. Normally this race feels very hot to runners on a average day. So with an added 15 degrees of hot Arizona sun, conditions will be BRUTAL. Plan accordingly!” Oh boy! When we touched down in Phoenix on Friday, it was hot. As we left the airport, the car thermometer was reading 100 degrees but by the time we got to Payson, it was in the 80’s. Saturday morning, the race got underway at 5AM, if it was going to be warm, it sure wasn’t evident at that moment. Paige and I started toward the back of a relatively small group of starters (126 runners). The beam of our headlamps cut through the dark exposing the large cloud of dust kicked up by the runners ahead of us. We wound our way through the trees up a steady incline. There was some chatter among the runners but we mostly ran silently in anticipation of the miles that awaited us. It didn’t take long and we had run ourselves out of the cool valley and toward the edge of the trees where the early signs of a sunrise began to show and the temperature was also noticeably warmer. We passed a few people before falling in with a couple of runners named Honey and Jon who seemed to be long standing friends with a lot to catch up on – it was a mesmerizing conversation to listen to with names of familiar people, places and races scattered throughout. Time passed quickly and soon we were rolling into the Geronimo aid station at mile 8, Kelly and Caleb were there to greet us. Brian was keeping with his plan to push hard early on to get some miles in before the heat got bad; he had been through the aid station 20 minutes before us. We topped off our bottles and headed into the next section. By now, the sun was up and it was starting to get warm. We kept moving at a steady effort but the pace was slower than I would have anticipated. The trail was tough with lots of rocks, some roots, and a perpetual up and down. We were in pure unadulterated snake country and with the temperature now quite warm, I was on high alert. Few things drum up the adrenaline like the potential for a snake spotting and this trail was 100% potential. Every foot placement required some level of scan prior to landing, it was exhausting. The course was strikingly beautiful and I often caught my glance wandering to the horizon, hung up on some feature of the landscape before catching myself and looking back to the trail in front of me, this trail wouldn’t be very forgiving if I drifted off for long. The next AS was Washington Park (mile 17) and as we rolled in, I could see Kelly and Caleb sitting atop a small hill above the actual AS. We waved as we passed to fill our bottles and as we started toward her, I could see Brian laying in the deep grass with Caleb. The early push or the heat or the toughness of the trail or, more likely, a combo of all of these left him wondering how smart it was to continue on to the next section which was a long one through very hot and exposed terrain. With very little convincing, he was on his feet and ready to roll – that’s what I’m talking about! We spent much of the next 3+ hours trying to keep the pace up as much as possible but it was still slow going. The footing combined with the steep and never-ending hills kept us hiking as much as running. Several times we came across cool and fast moving streams which we fully took advantage of by rinsing off our faces, splashing water onto our arms and dipping our hats – it was really quite an amazing experience. The heat was in full swing by now and when we hit the next stream crossing, Brian decided it was time for a plunge. He laid himself down, right smack in the middle of the stream and started splashing around like a kid at the pool, it was hilarious! Time was starting to get tight and we were keeping a close eye on the cutoffs. 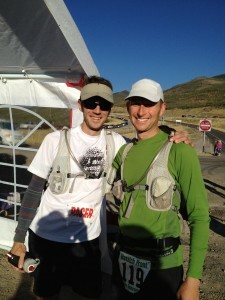 Brian wasn’t feeling good at all and decided that the Hell’s Gate AS (mile 23) would be where he called it a day. After a quick refuel, we said our goodbyes and got back on the trail, not wanting to waste any valuable time. The next section was the hardest, hottest, and longest of the day – 10 miles of relentless hills, rocks, and sun. We ran when we could, hiked when we needed to and tried to keep moving as best we could. The streams kept coming and we never missed the chance to cool off. Eventually, we made it to Hatchery (mile 33). 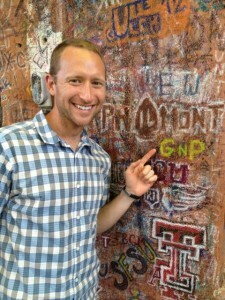 It was at this AS that one of my favorite memories of the day took place. Paige, a normally quiet and gentle girl, has a most impressive ability to burp like a champ. At the AS, she was drinking some warm soda and, as we were heading out of the AS, she let one rip which didn’t surprise me but it clearly took unsuspecting bystanders off guard. One of those in range happened to be Joe Grant (an elite runner) whose head snapped toward us with a look of shock. Paige apologized but it was unnecessary, this chill ultra runner was more impressed than offended and replied with a chuckle and a “its all good.” I just looked on with pride, that’s my wife. The next section is a bit of a blur, very much like the last section except hotter, tougher and longer : ) Our pace was holding steady at something between slow and slower but, at this point, I was happy to be moving forward and making the cutoffs. At home, we normally knock out 10 miles in 80 minutes, no problem. It was a whole different story here, taking us more than double that amount of time. I was trying to drink as much as possible and I ended up drinking all of the 90 ounces of water I was carrying with me by the time we got to the next AS. 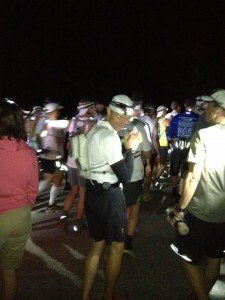 When we did finally reach Canyon AS (mile 44), Brelly was there and full of energy – what a welcome sight! We took a minute to sit down while volunteers helped get our bottles and packs filled. It finally hit us, we were nearly done and no longer in danger of missing cutoffs so we could relax and enjoy the cooling temperatures and remaining daylight. We put our headlamps on and got back on the trail. It didn’t take long before I realized that my hopes to relax and take it easy over the last six miles were lost on Paige. She is strong and when she gets focused on the finish, I know I just need to tuck in behind her and try to keep up. As the final fingers of light faded, we reluctantly switched our headlamps on. We were making pretty good progress and started passing a few groups of runners. Soon, the “one mile to go” sign appeared and shortly thereafter, the sound of the finish line could be heard. We had run the whole day together and finished side-by-side. This is a classic, “old school” race that lives up to its reputation in every respect – well run, beautiful, and tough. I love spending the whole day running through beautiful country and feel so fortunate to have such a compatible partner to share the experience with. I’m happy to report that we didn’t see a single snake. As is often the case, I can’t account for most of the day but the highlights were clearly coming into the aid stations and being welcomed by the friendly volunteers, seeing Kelly/Caleb (and eventually Brian too), and the contented feeling of having struggled through the ups and downs of the day to finish healthy and happy with my Paige by my side. You can read her race report HERE, its got more pictures and is much more entertaining. Today’s adventure finally pushed me to open a Pandora account. I’ve had the app on my phone for, literally, years and never opened an account. But I took the 30 seconds required to do so and immediately started looking for something different. First up, Cool Jazz – loved it! Next up, Americana – not quite as much but didn’t quite hate it. And so the exploration continues. If you have any urge to open a Pandora account, I’d highly recommend it! I am definitely not opposed to trying new things and usually like almost everything I try but I’m also guilty of sticking with my favorites more often than not. Paige, on the other hand, is always up for trying new stuff so today’s adventure was especially exciting for her (and I just piggy backed off her). 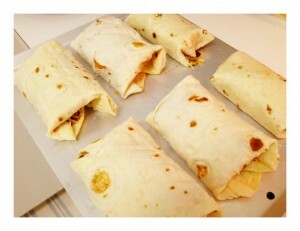 She found a recipe for sweet potato burritos, I was a skeptic but she totally pulled it off, they were delicious! Thank you Paige! Good timing on this one, I grew up in Iowa which doesn’t get much attention most of the time but during an election year, like this one, it becomes the source of great attention. Yesterday was the republican caucus, you’d think that 1) being a “responsible” adult and 2) someone who grew up in Iowa, I would know something about this process but I didn’t, so today, I decided to learn something about it. First of all, I learned that the caucuses are oddly informal. They are hosted in public places (churches, schools, libraries, …) and begin at 7 PM with a representative for each candidate talking about why voters should vote for their candidate. Once that is complete, voters write their vote on a slip of paper and stuff it in a box. Once all the votes are in, they are counted and reported. There may be a little more to it than that but not much. The democratic caucuses are a little more involved but more similar than different. While I still know very little about the whole process, I know more than I did. So, we normally walk to work and I generally zig zag my way to work walking with the lights as I hit them but I often end up on virtually the same route because the lights are timed so it just works out that way. Today, we were running late so I went the fastest way possible to get to work, which happens to be my normal route. But, on the way home, I took a different, more scenic, route. Because it was the first really cold day of the year, I decided to try to figure out the “pedway” and, it was really fun! I’d been through parts before but much of it was new. The great thing is that on those days when it is pouring out or unbelievably cold or sweep you off your feet windy, I now have a route that will keep me out of the elements for nearly half my walk, pretty cool! Not to mention, I saw a couple of lunch spots I need to try out too.